Be a part of Amy’s multimedia art project on Patreon by clicking here. You get behind the scenes posts, free downloads, free art, stickers and more! I have an etsy shop called My Private Beach where you can buy my paintings. You can purchase illustrations I have done as shirts, dresses, scarves, skins, home decor, prints, stickers and lots of other sweet stuff in my shop on REDBUBBLE and at TEEPUBLIC.com I post new illustrations regularly so check back often. Buy my coloring book! 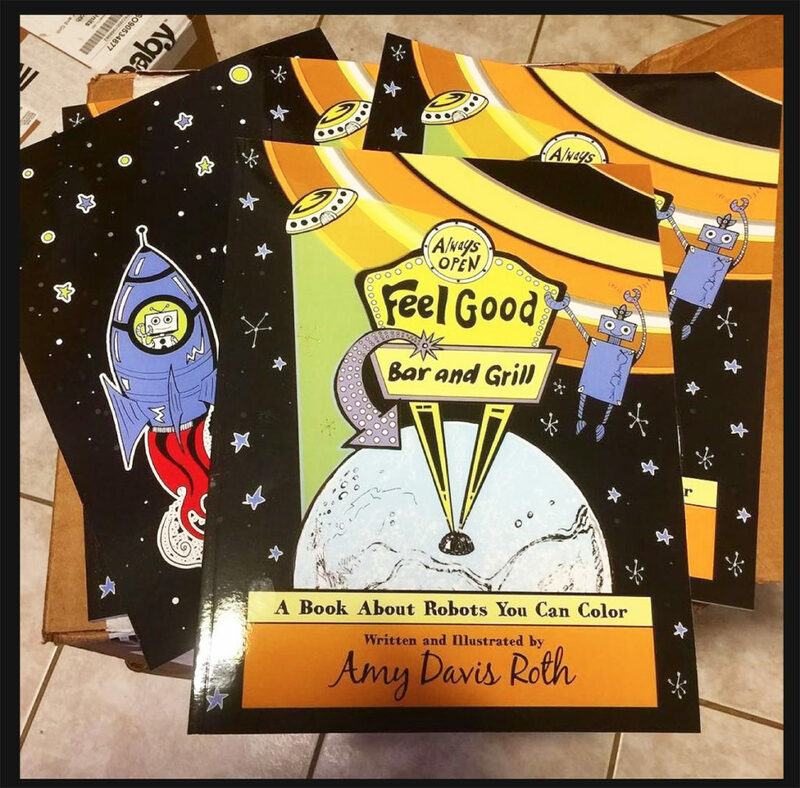 The Feel Good Bar and Grill a book about robots who live on the moon Enceladus – that you can color! Great for all ages! Kids and adults! Available here at Book Baby and at Amazon! 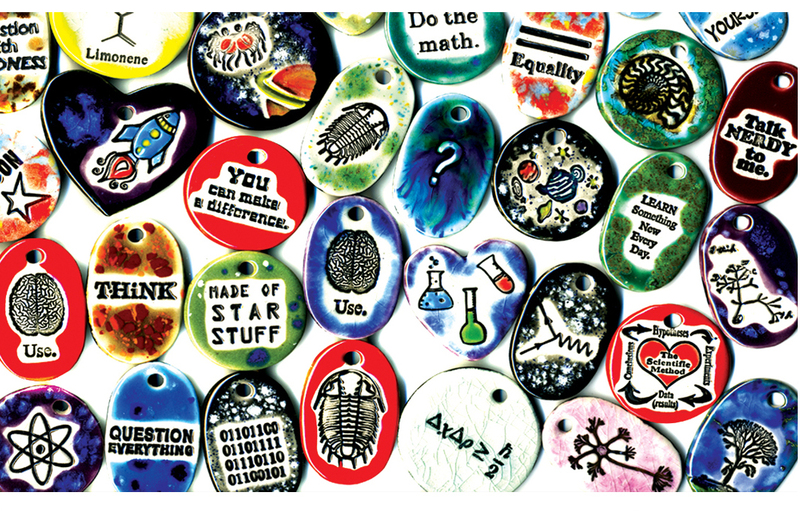 Surly-Ramics is handmade ceramic jewelry and accessories inspired by science and nature and created by multi-media artist, Amy Davis Roth. All of the Surly-Ramics jewelry is one-of-a-kind, hand-formed and hand-painted ceramic art, made by me, Surly Amy! Custom work is available. Please go to my contact page if you have any questions about custom or wholesale purchases. If you would like to buy Surly-Ramics now, please visit my online store at Surly.Etsy.com. I have hundreds of original, handmade designs listed and ready for purchase. Like the Surly-Ramics Facebook page to be the first to hear about sales and to get coupon codes for my Etsy shop! Follow Amy on Twitter! And Instagram! Surly-Ramics is now available on Amazon Handmade!